Lorna’s “before” scan was taken January 7, 2011. She had to wait to see the neurosurgeon until the following year due to England’s National Health Service delays, which was actually the same day she and Charlotte arrived to take the Advanced Level QHHT class from Dolores Cannon in Pewsey, England, September 13, 2012. 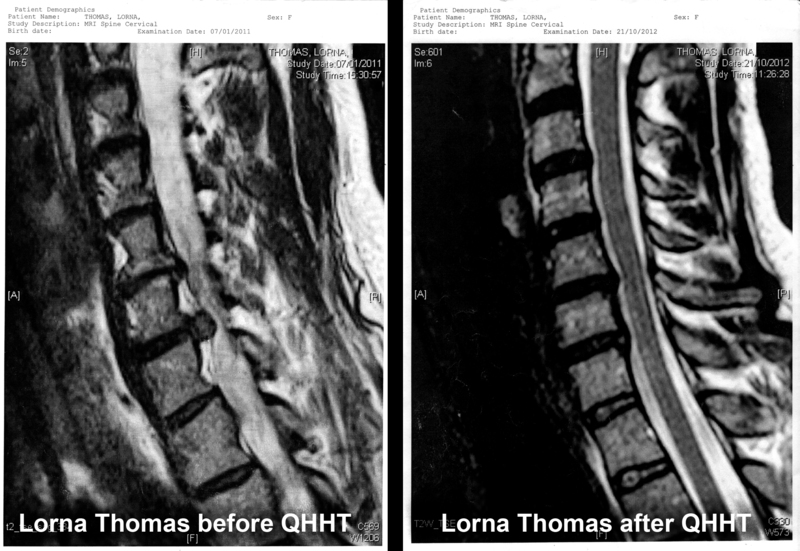 During that long time of waiting after her initial scan, Lorna was getting worse. Much worse. By September of 2012, she unable to rotate her head from side to side. She found it painful to use her hands for anything at all. She had trouble brushing her hair and putting on makeup. She even had trouble feeding herself without pain. She had to lie down a lot and couldn’t turn her head at all without excruciating pain. She was really scared about how bad it was going to be before she finally got to see the neurosurgeon. She could only remain upright a handful of hours a day and even then only with heavy pain medication. It was the second day of the Level 2 QHHT class. At that time, Dolores had the students form groups of three in which to practice her method. Lorna found herself in a group with Charlotte Daniel and a third person by the name of James Frankland. At the beginning of each practice session the roles were switched with one person being the “hypnotist” one person being the “client” and the last person being an observer. Charlotte had already been the “client” the day before and this time she was to be the “hypnotist”, Lorna the “client” and James the observer. I also could feel the energy of the house where we were practicing- it was quite electric and thick. I have to admit, as excited as I was, I was also very nervous. I had not had a session before so I did not have any idea of what to expect. I had no preconceived ideas of how it would feel to be “under hypnosis” and I just gave myself up to the process. I remember it being very emotional. The “past life” that I viewed was actually quite odd – it was less like an actual life but simply an experience of being an entity that “collected information” to be delivered to others after collecting it. What I learned in the session was that I just carried on experiencing all of these “lives” but, I didn’t always release all of the information that I was supposed to. And that proved to be at the root of the problem in my neck. I carried this information, these emotions in my neck. The physical symptoms now are a representation of my inability to learn this lesson about releasing. After providing the understanding of the problem, my Higher Self then began to heal me. I remember the heat started coming up through my neck. I actually found it somewhat difficult to breathe. I was panting and filled with an immense energy, it was so intense it kept bringing my “regular” conscious mind forward because I was feeling such strong sensations. I was really and truly vibrating in my body. As the “hypnotist” in this session Charlotte described what it was like to facilitate, “I don’t think my particular involvement was key to Lorna’s QHHT session being successful. I believe that it was because of Lorna’s conviction that she would be healed and also, of course, the technique of getting her to the level of trance where the healing was easier for her to access and manifest. 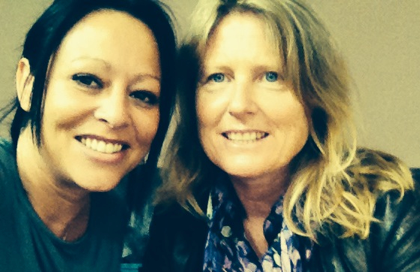 Note: Lorna and Charlotte will be joining Candace on Julia Cannon’s The Metaphysical Hour Radio Show February 20, 2015, at 7pm Central Time to talk about this story and more. HERE is the archived version of the story. This entry was posted in Dolores Cannon, Energy Healing, Health, qhht, Quantum Healing Hypnosis Technique and tagged Dolores Cannon, Energy Healing, health, past life regression, QHHT, quantum healing hypnosis. Bookmark the permalink. Another beautiful healing using Quantum Healing Hypnosis Therapy technique. 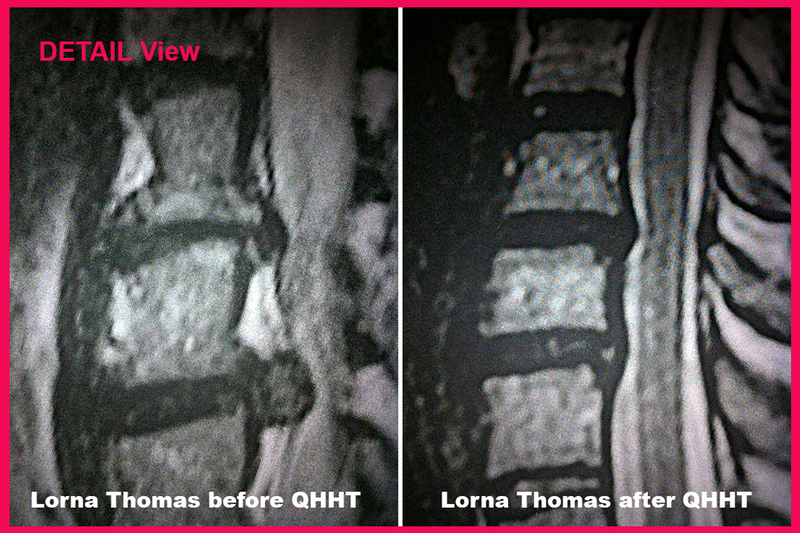 So wonderful that Lorna has been relieved of the great pain associated with herniated discs.